This 2 bathroom, 2 bedroom, 2 parking stall open-concept 997 square foot condo is strategically located within a 10 minute walk to Grant McEwan University, the new Rogers arena, downtown office towers and is a 5 min train ride to University of Alberta and very close to high-end restaurants and shopping. The condo is no smoking, no pets (though pets are allowed in this building - if desired), never rented, hardly lived in, original owner, corner unit with west and north exposures. 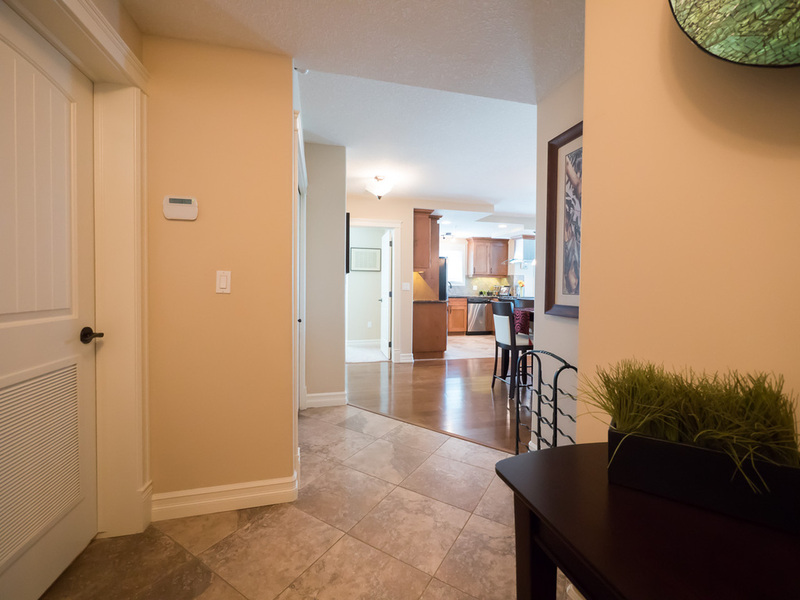 The condo has a private, concrete enclosed storage room directly off the two parking stalls which provides plenty of storage and its own electrical outlet. 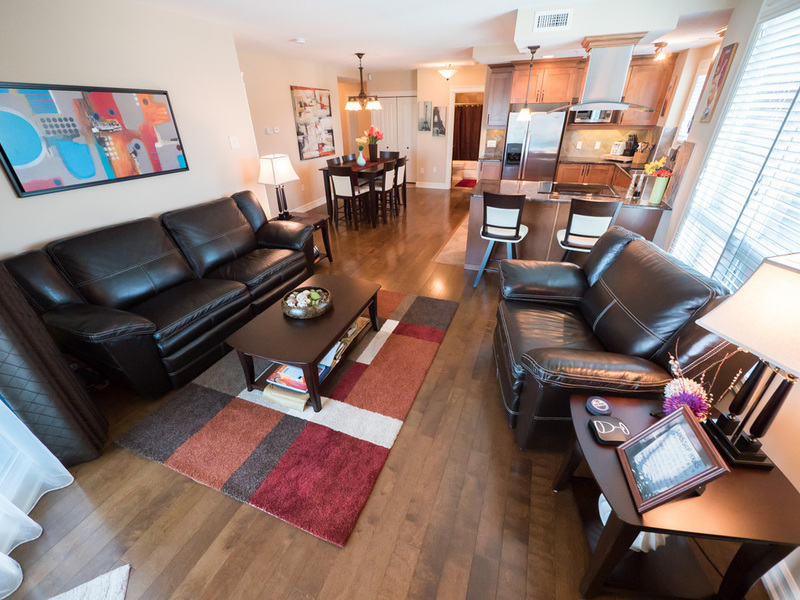 This condo is located within Meridian Plaza which was built to high standards including upgraded countertops, soft-close cabinets, in-suite laundry, individual HVAC unit, central vacuum, hardwood flooring and stainless steel appliances. Building amenities include a guest suite, event centre, meeting room, gym and owner's lounge. This condo would be perfect for a young professional, student, an investment property or revenue property. Condo fees are $502 CDN / month. Furniture as pictured is available if desired under separately-negotiated contract. If the purchaser approaches me without a realtor, a credit to the purchaser is negotiable on closing. However, I am also willing to negotiate commission with any real estate agent who brings an acceptable offer from a qualified buyer.